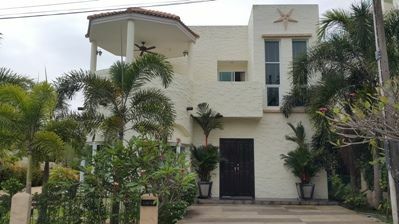 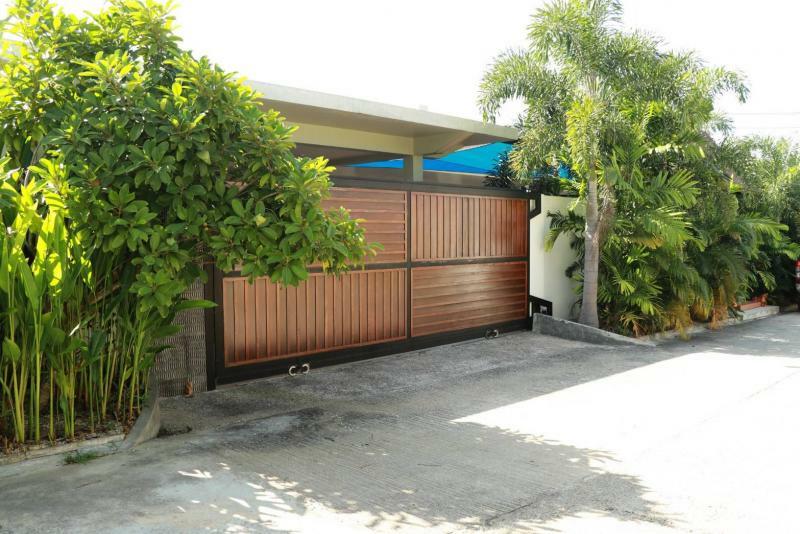 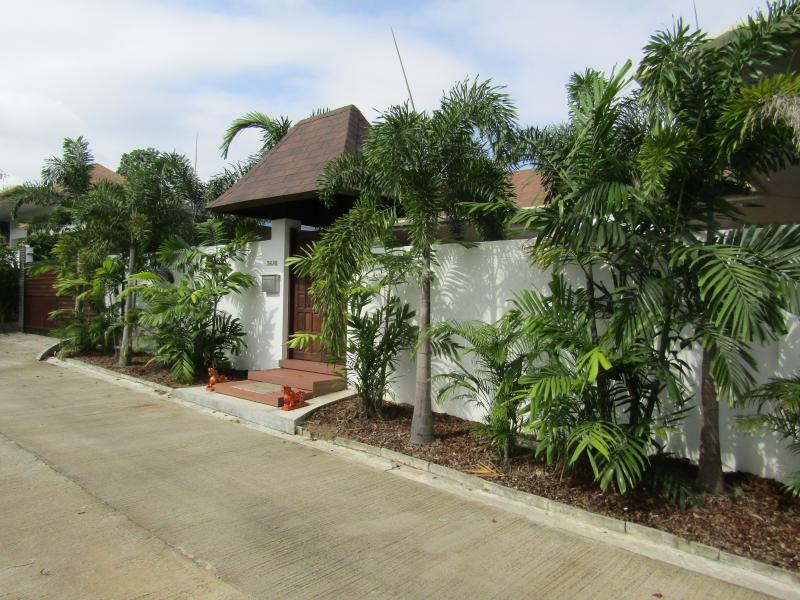 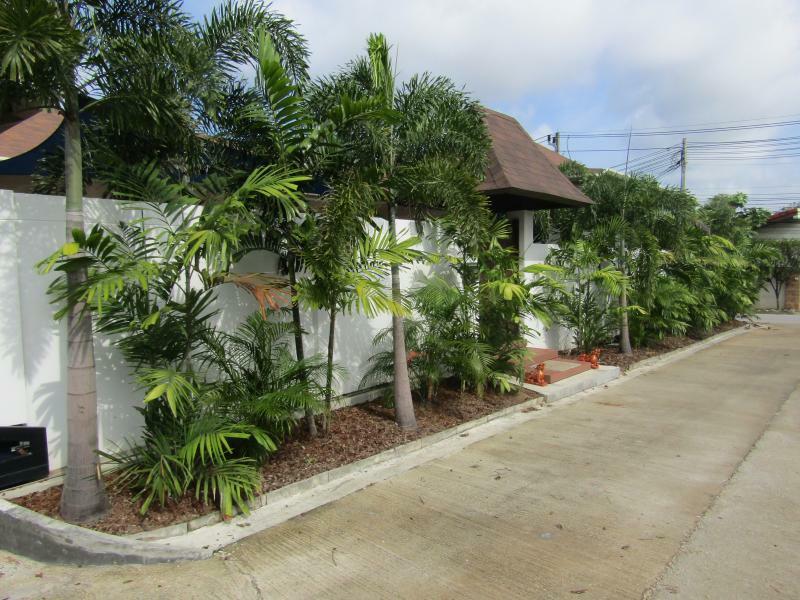 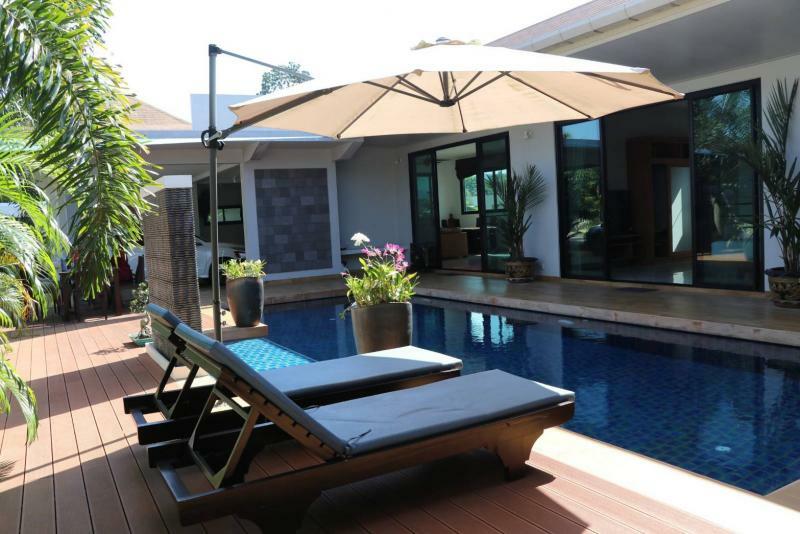 Situated near Laguna on 512 m2 of land, this large 320 m2 villa has a gorgeous tropical garden and understated elegance. 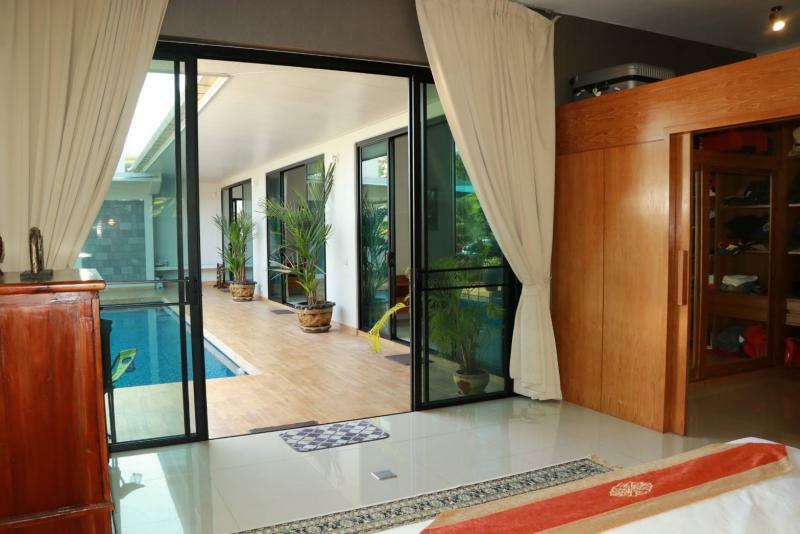 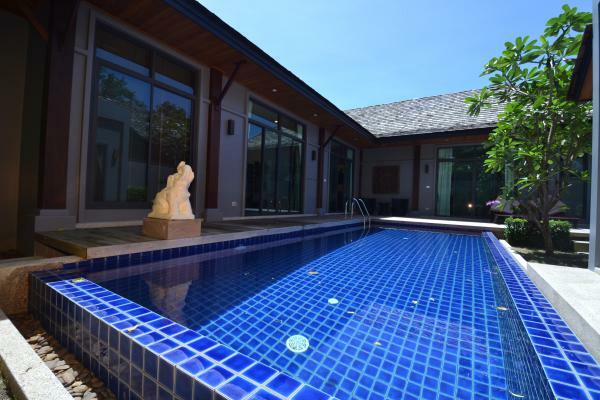 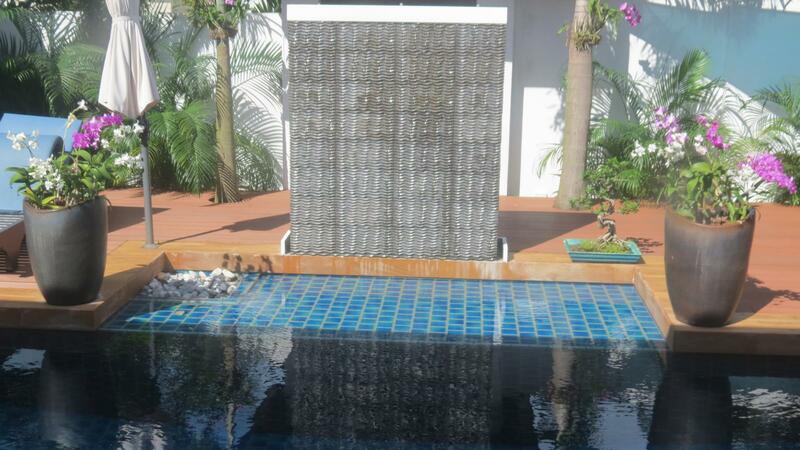 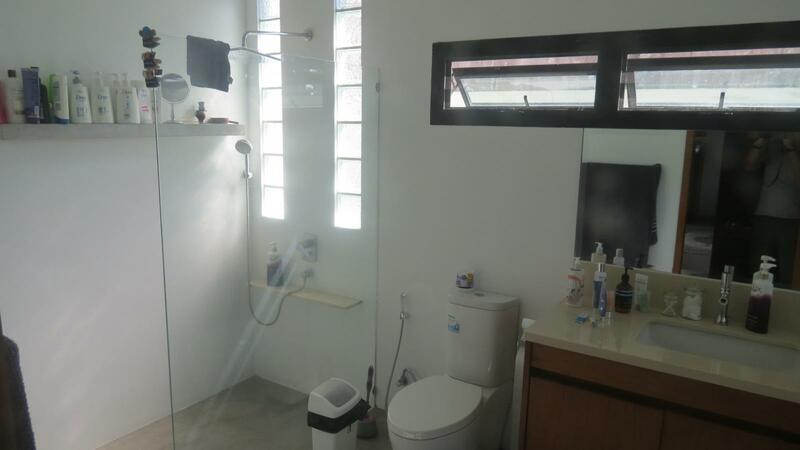 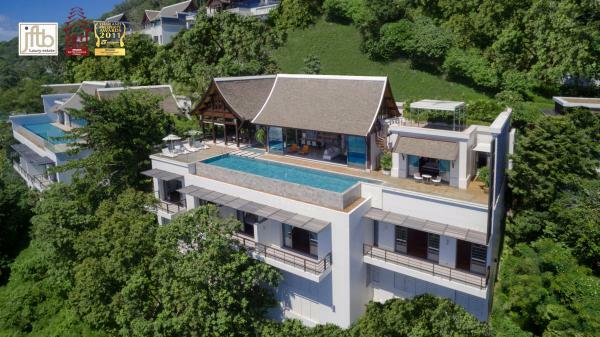 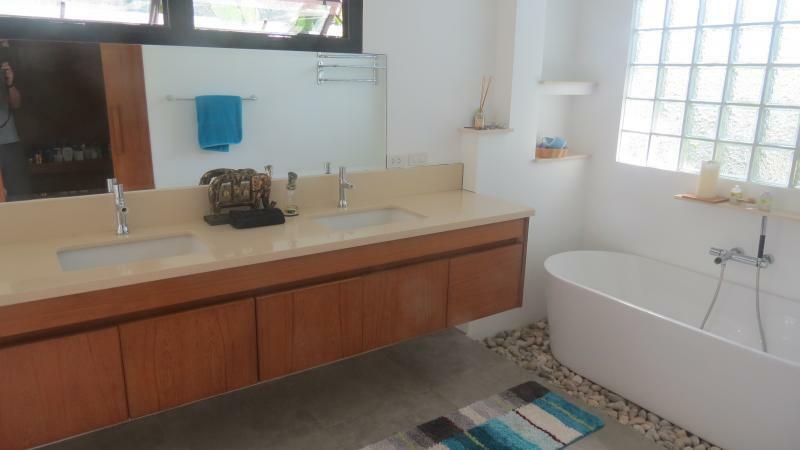 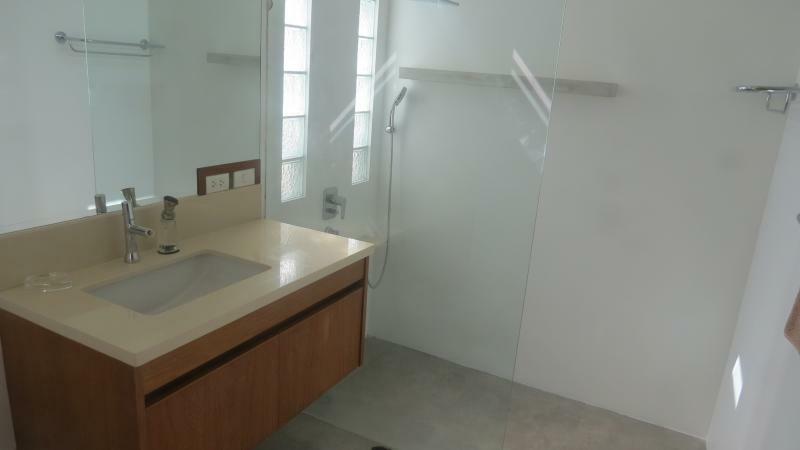 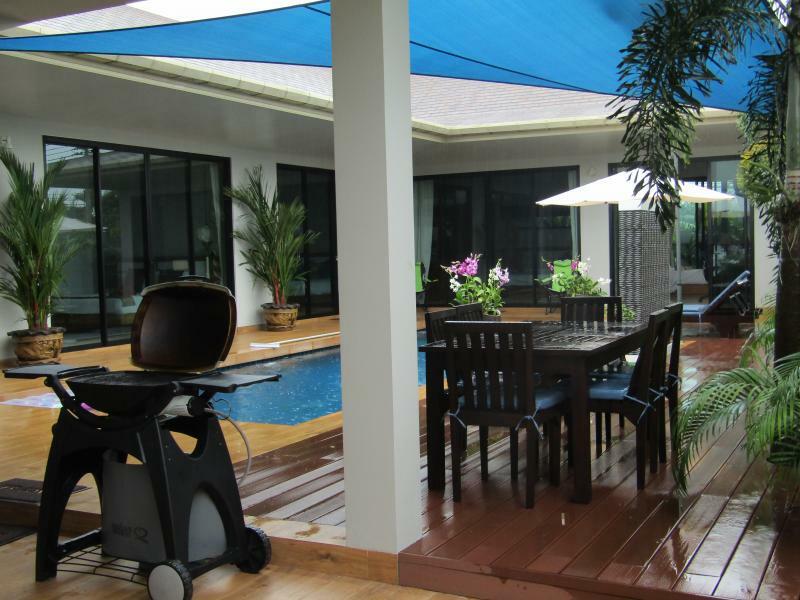 This smart, functional, fully tiled 4 bedroom pool villa is one of only 7 individually built in a private cul de sac. 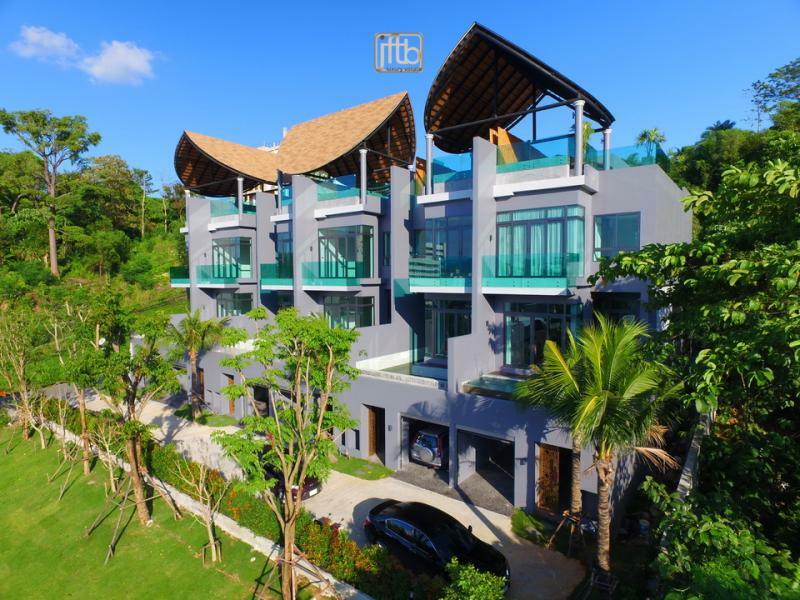 The villa offers convenience, lifestyle and privacy and is located just a stone's throw from Laguna shopping, the famous Laguna golf course and excellent cafe and dining options, boutique shopping and an easy commute to the fabulous local beaches, Phuket Town and Central Festival which offers a cinema complex and fabulous retail shopping on a huge scale. 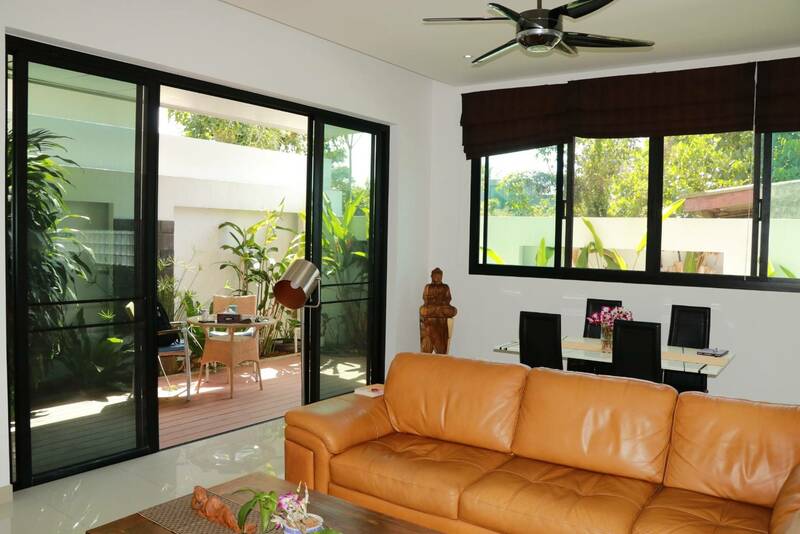 This villa offers a generous open plan design, its many windows and fresh, neutral paint tones introducing lots of light into all the rooms. 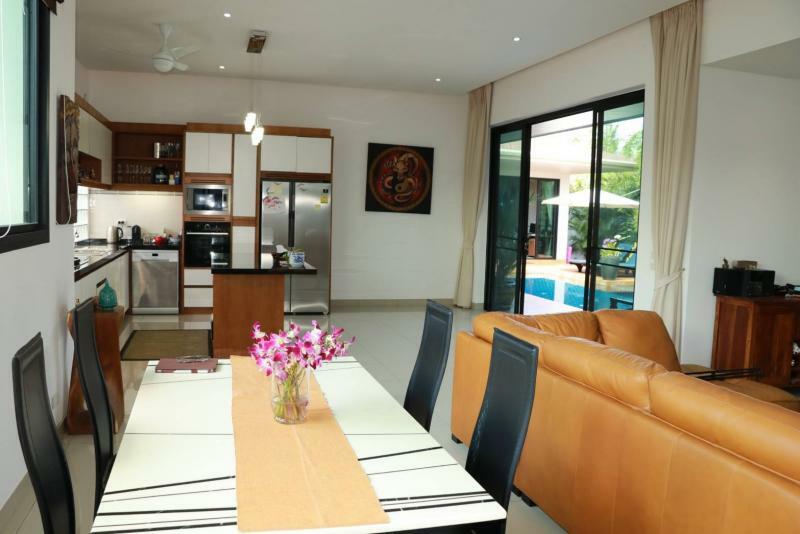 The kitchen is fully functional with ample bench space, breakfast bar and the open, air-conditioned living/dining room which opens out onto a generous decked terrace where you can enjoy entertaining friends overlooking the beautiful in ground 10 x 4 salt water pool. 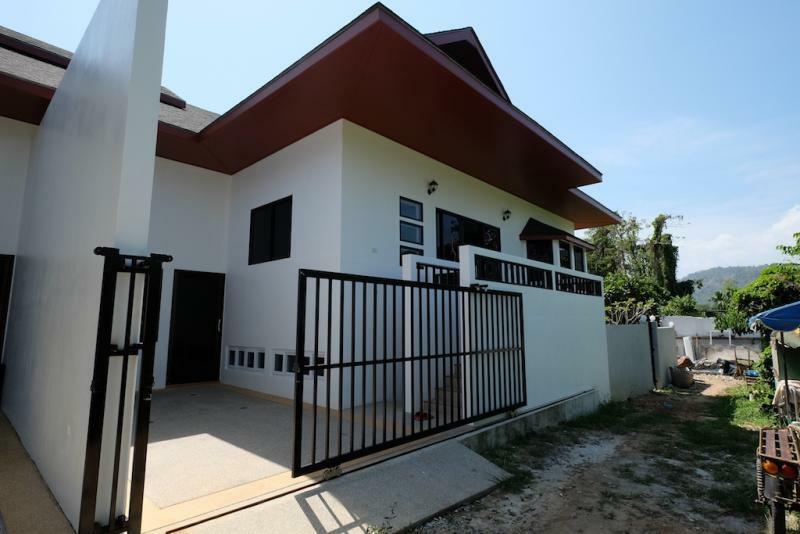 With 4 built-in bedrooms, 3 are en suited, a separate guest toilet and external laundry and a secure double garage, this property offers everything you need and is ready to just move into. 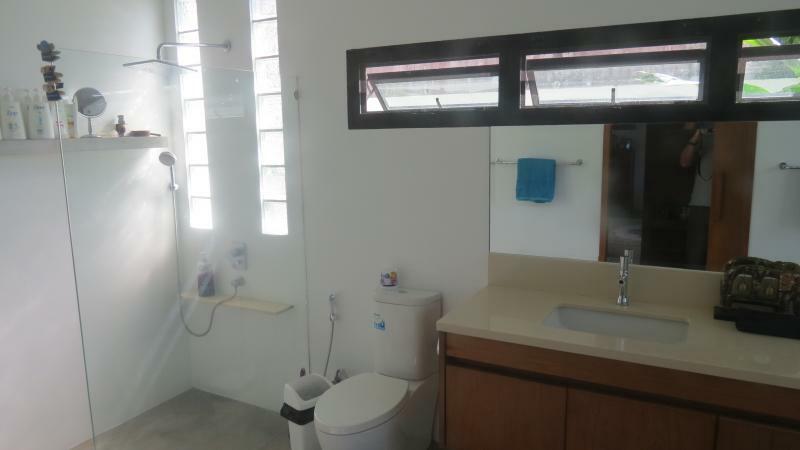 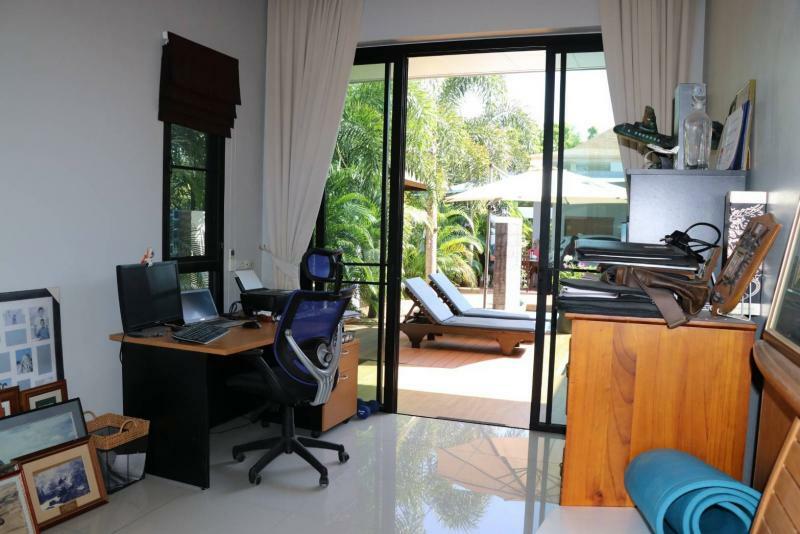 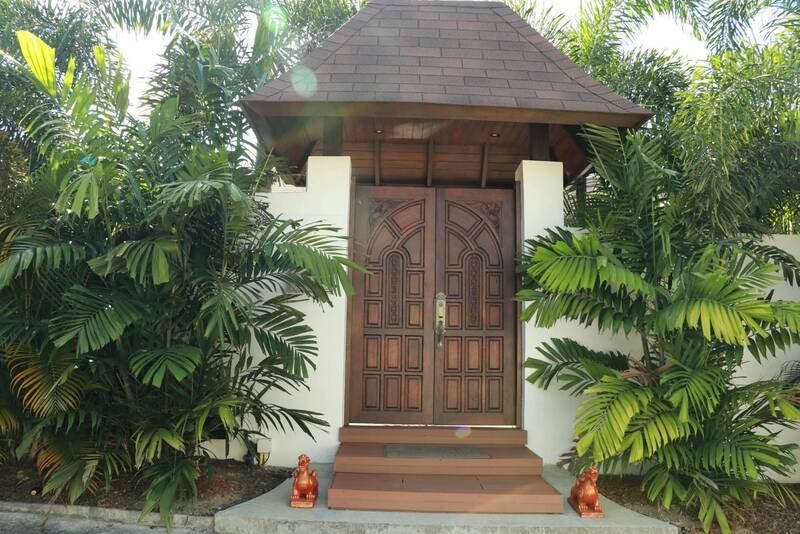 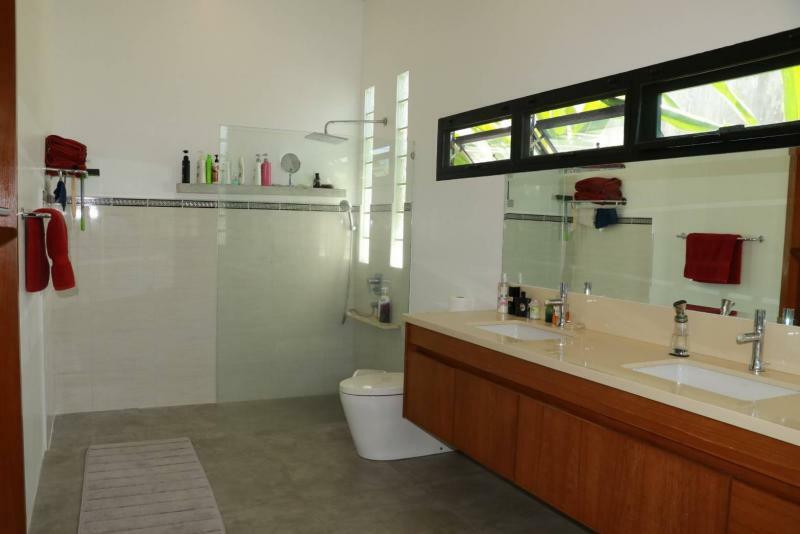 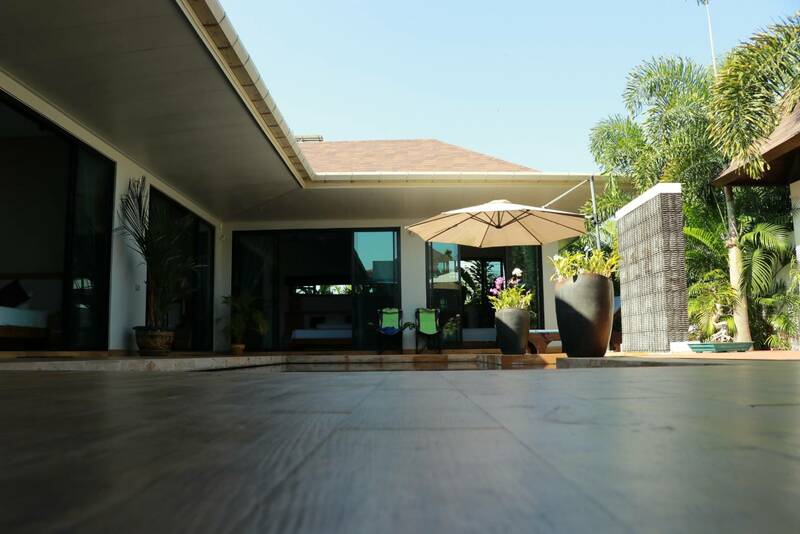 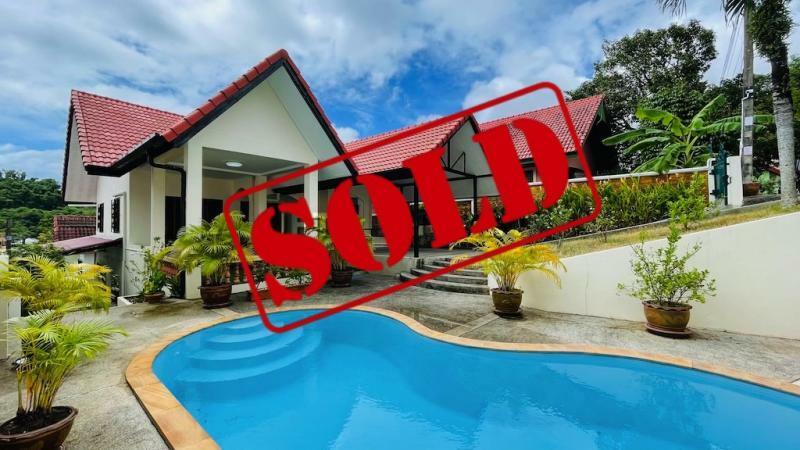 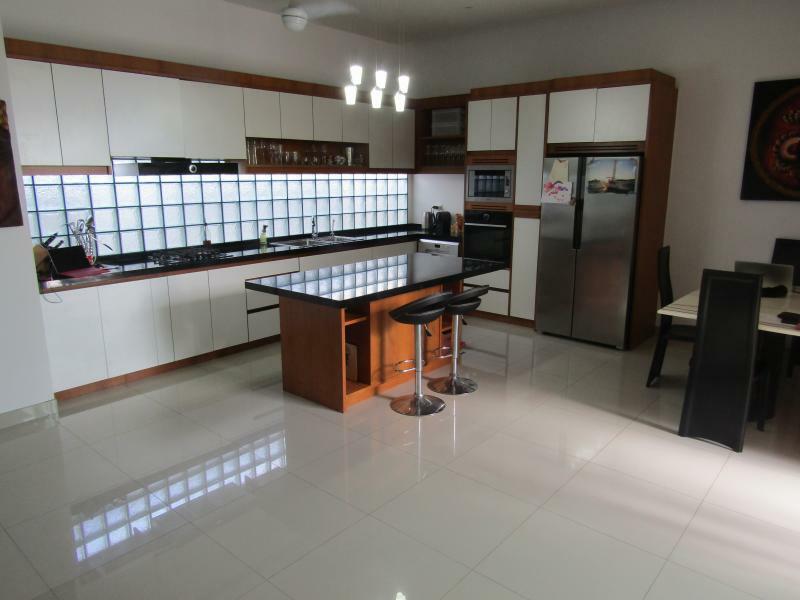 Features of this property include: Double garage, secure access, freshly painted throughout, windows dressed floor to ceiling, reverse cycle air-conditioning in every room, doorbell at the beautiful large carved solid timber entry doors for added security. 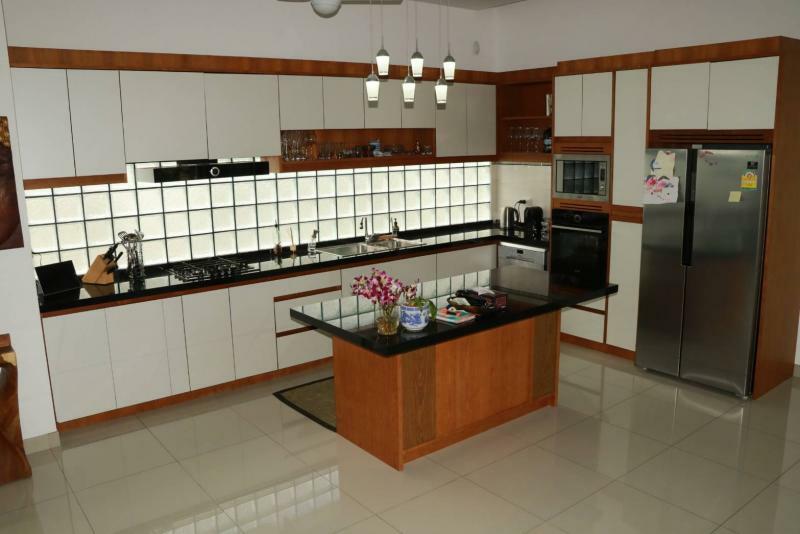 European appliances including, microwave oven and wall oven and gas cook top are all included in the large open kitchen with black granite bench tops and island, and a built-in water purifier. 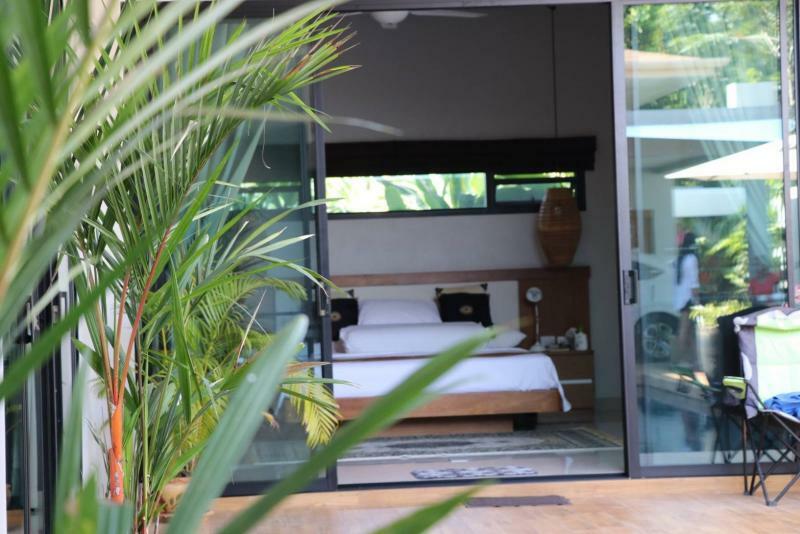 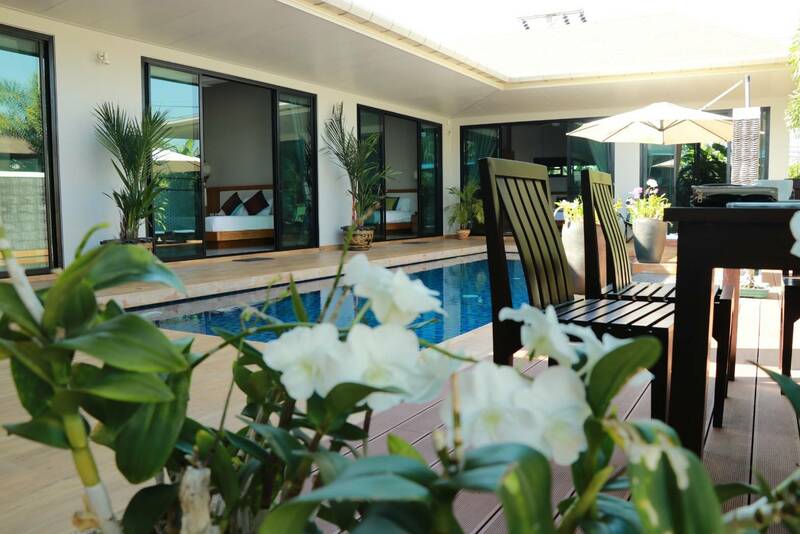 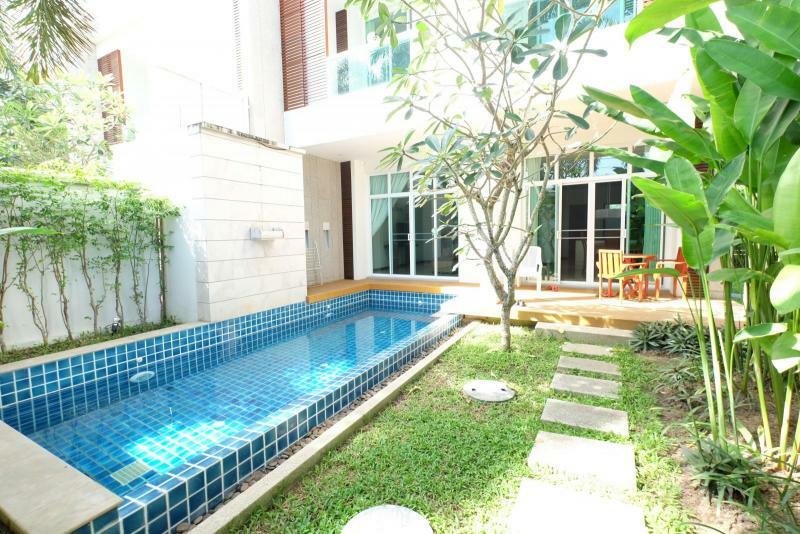 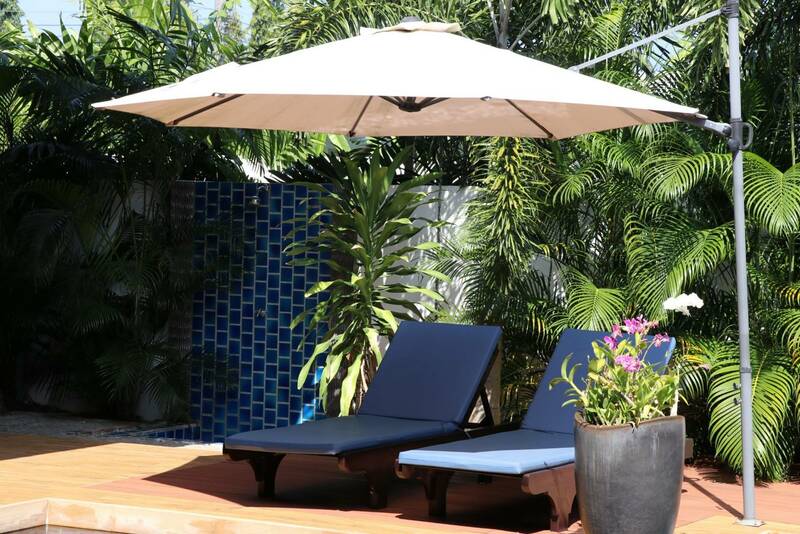 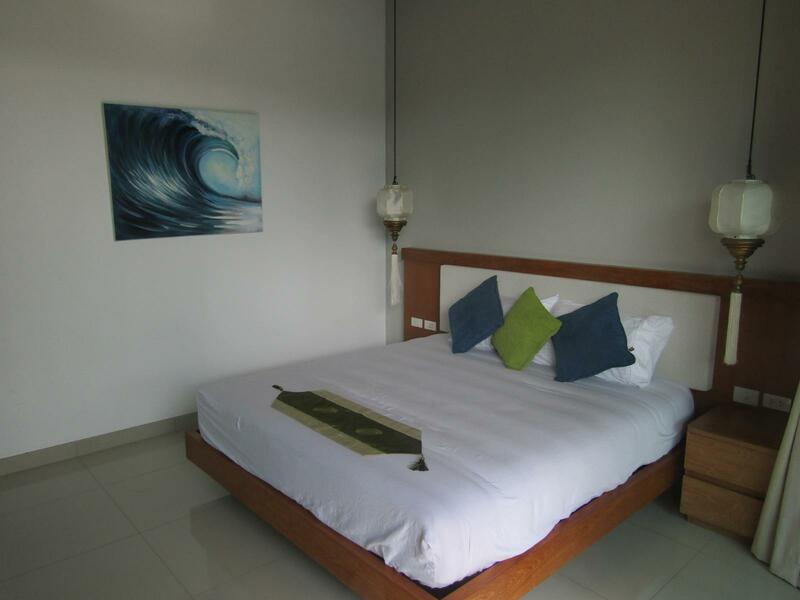 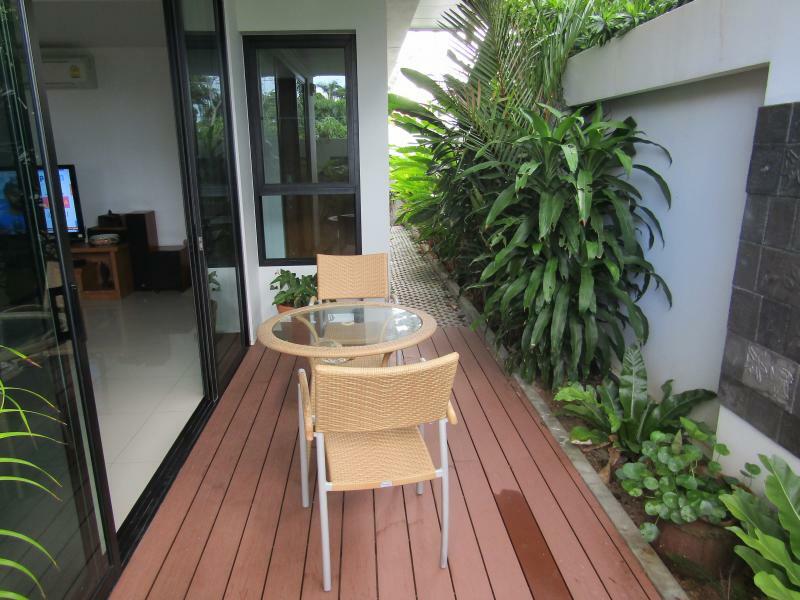 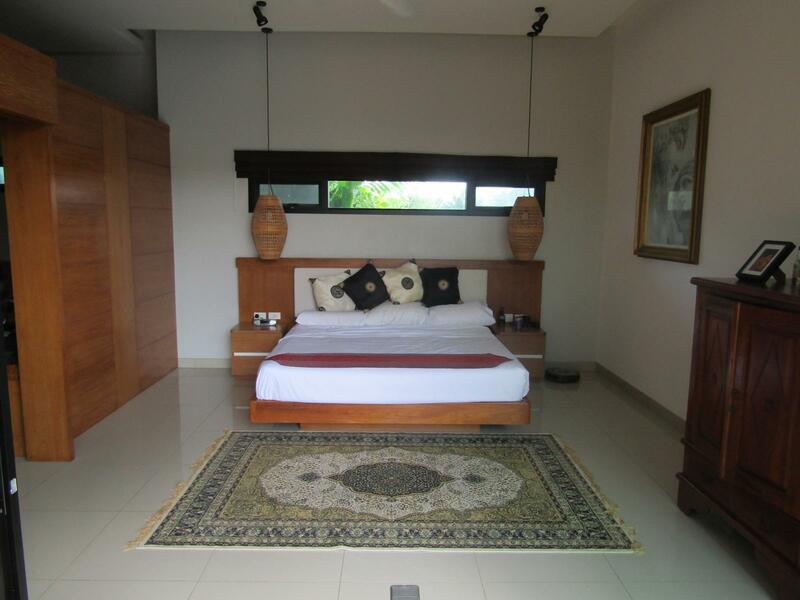 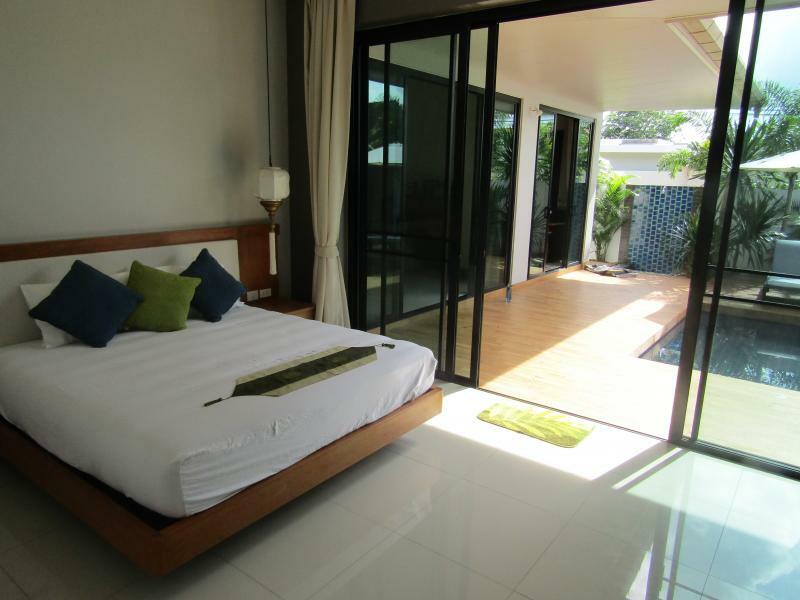 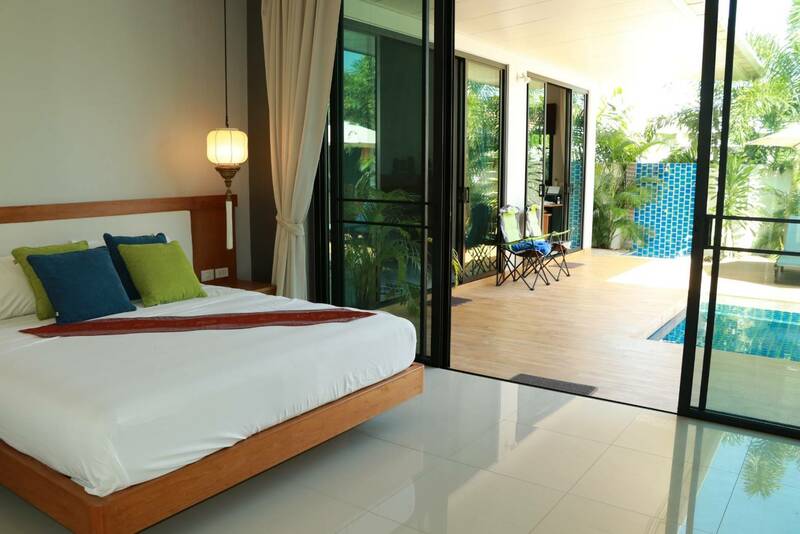 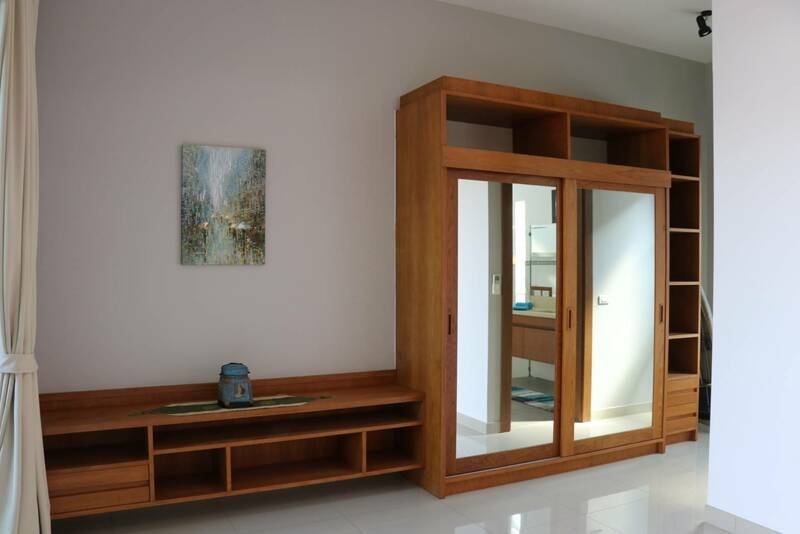 All bedrooms have built-in wardrobes and are private and open onto the tiled terrace around the pool. 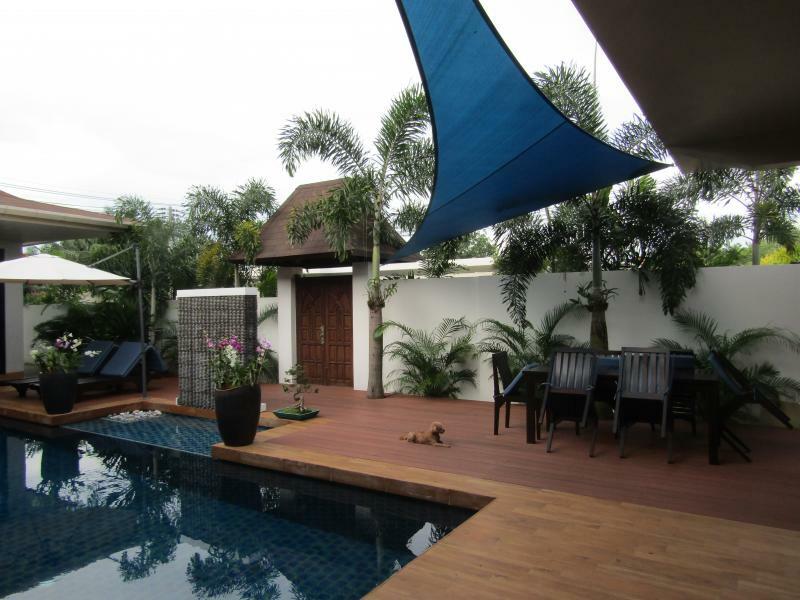 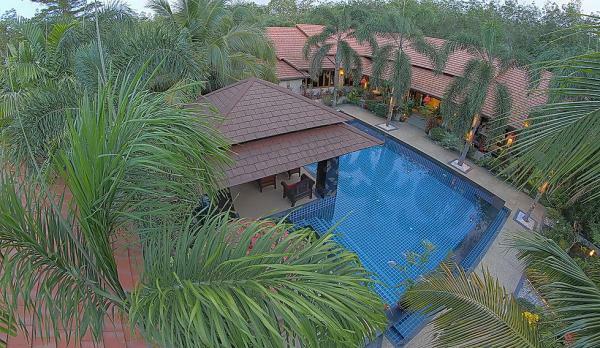 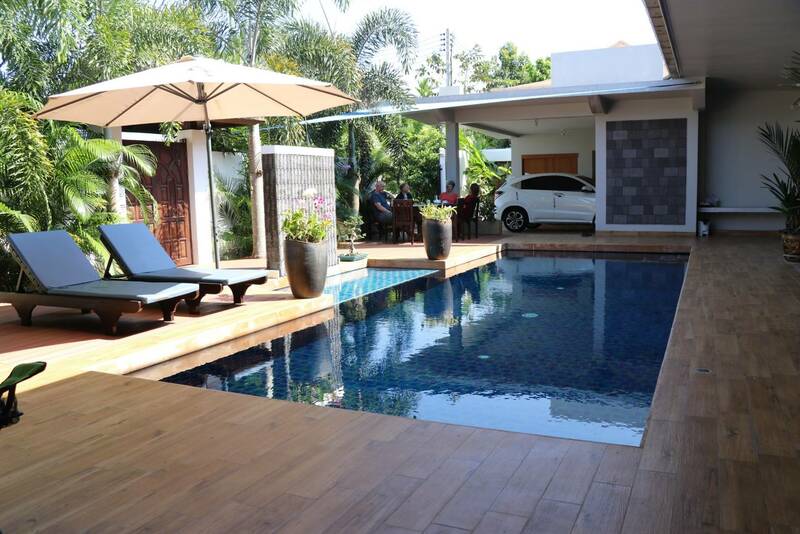 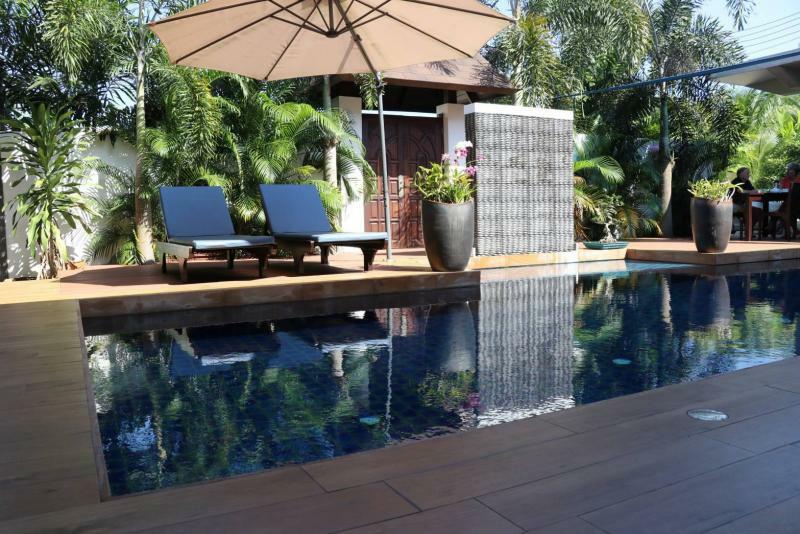 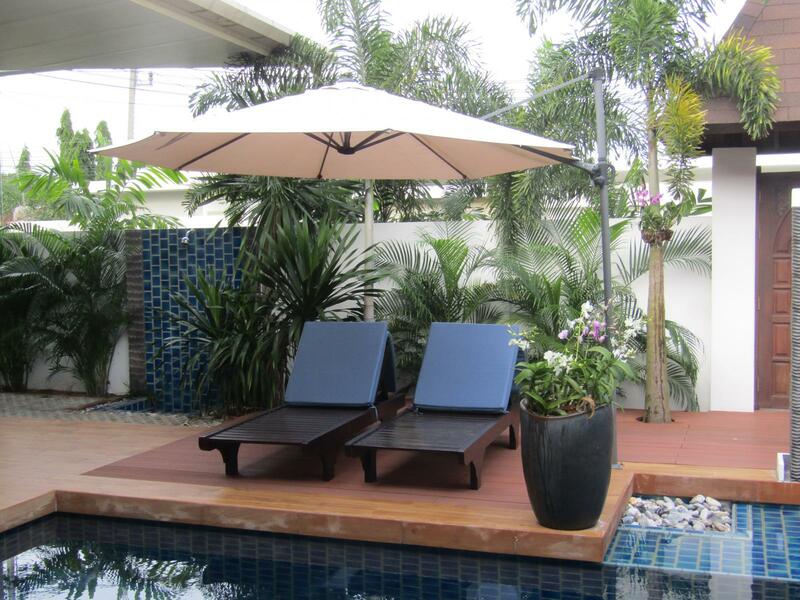 Beautiful palms and Thai orchards surround the house and overlook the pool.